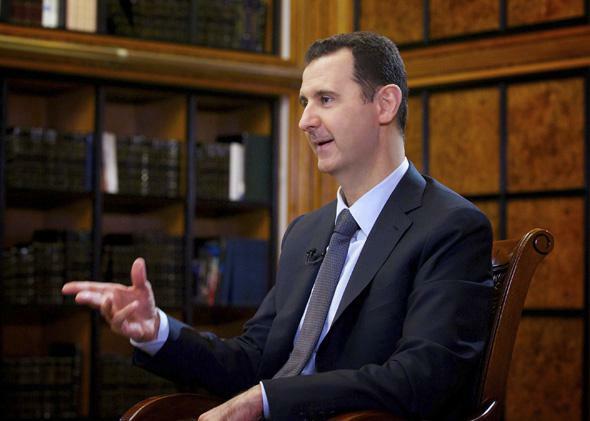 Syrian chemical weapons: Assad won’t comply without a credible threat of force. Syrian President Bashar al-Assad’s interview Thursday with Russian state television is further proof he’s responding to the threat of force. Like most of what Assad says, this is a lie. He responded to the threat of force, and only the threat of force will make him follow through. To extract his compliance, we’ll have to maintain our military readiness and resolve. Now that the U.S. Congress has withdrawn consideration of its authorization to use force, Assad is regaining confidence. He thinks he can jerk us around. In the Russian TV interview, he says he’ll follow through with his chemical weapons offer only if the U.S. stops “delivering arms to terrorists” in Syria. In other words, he won’t even submit to inspections of his poison gas, let alone relinquish it, unless we cut off all aid to the Syrian rebels. Don’t fall for it. If we relax, Assad has endless ways to drag this out. So far the only tangible concession he has produced is a letter of intent to join the chemical weapons treaty. He hasn’t signed the treaty, reported where his stockpiles are, admitted inspectors, or allowed them to begin destroying his arsenal. Each of these steps can be delayed and dangled as leverage for further demands: noninterference in the civil war, Israeli disarmament, the Golan Heights, you name it. He’ll keep his gas. And he’ll use it again. 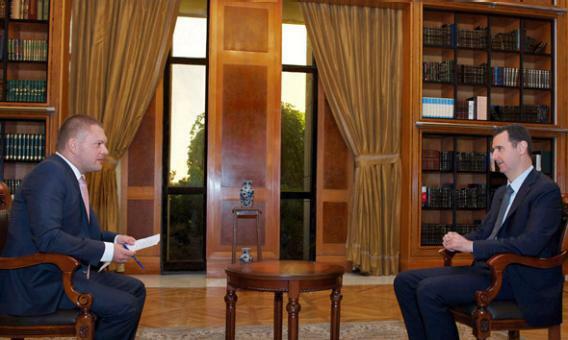 Assad appears on Russian state TV station RU24 in Damascus in this Sept. 12, 2013, handout photo by Syria’s national news agency Sana. Exactly. He did it to avert the missile strike. Keep the missiles ready.